In 1999 I went to college in Los Angeles and later San Francisco, resulting in an Associate of Arts Degree in graphic design. During my education I got to do a “real” assignment, making a poster for a project at the college. When finished I remember the feeling it gave me — the satisfaction of making something that made a difference to someone. The same feeling still comes to me from time to time. I don’t think that I’d be working with what I do otherwise. 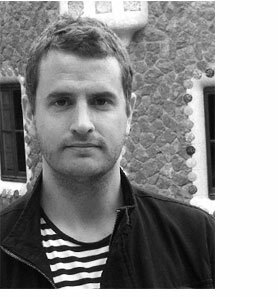 After moving back to Sweden in 2001 I became employed at various advertising agencies in Stockholm, Uppsala and Luleå. Learning by trial and error, I was unknowingly collecting useful and extensive experience. Something that would ultimately give me the confidence to start my own business. The number 31 in the name of the company was actually my age when I decided to take the leap of faith. It was time to transform the years working with graphic design into something that I truly believed in. It was closure and beginning at the same time. 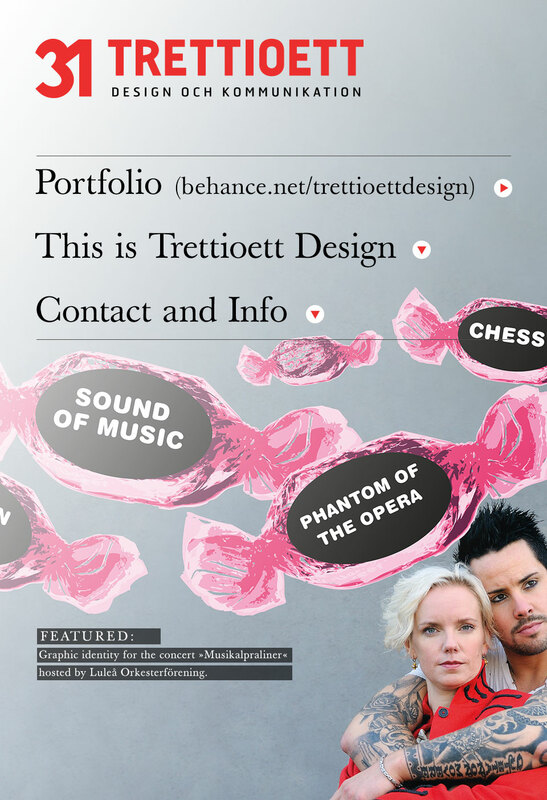 Trettioett Design was born and has been here since March, 2008. 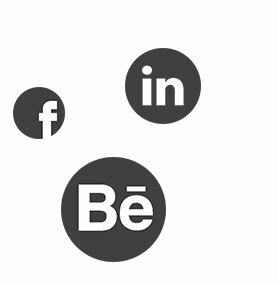 I truly believe that the best communication is simple and well organized in relation to the client’s needs as well as the target audience. But there often is no easy fix, and in my assignments I just work hard to achieve the results needed. My goal is perfection and craftmanship within every assignment. Trettioett Design is collaborating with other creatives. Let me know if you are interested in working with me!